The Defense Advanced Research Projects Agency since its conception has embraced what amounts to a truism in the world of defense: evolving battlefields present war fighters with evolving challenges. It is this philosophy that spawned DARPA’s newest competition. Such tools are in high demand in today’s increasingly urbanized battlefields, where soldiers are beginning to find themselves forced to navigate war zones not high in the sky, but deep in the ground. 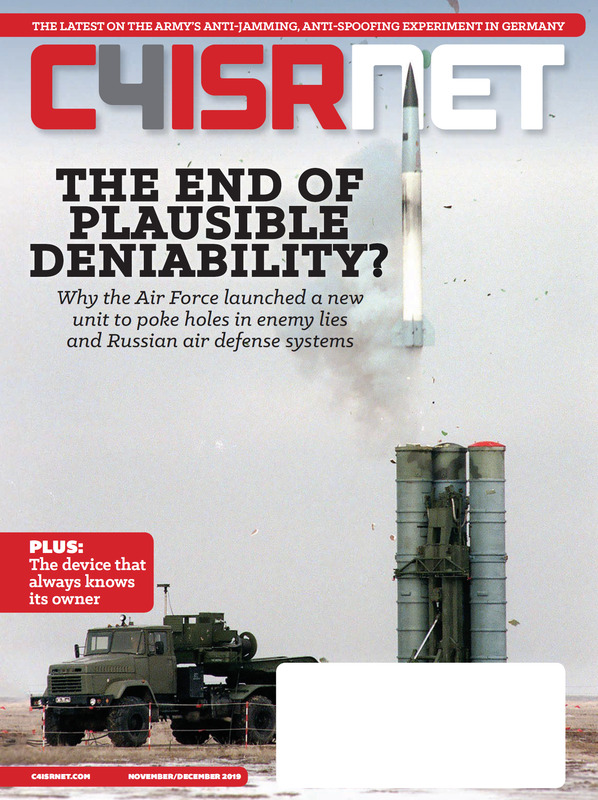 “Underground tunnels and structures serve as equalizers for belligerents with lesser military capabilities,” wrote Daphné Richemond-Barak and John Spencer in the Modern War Institute. 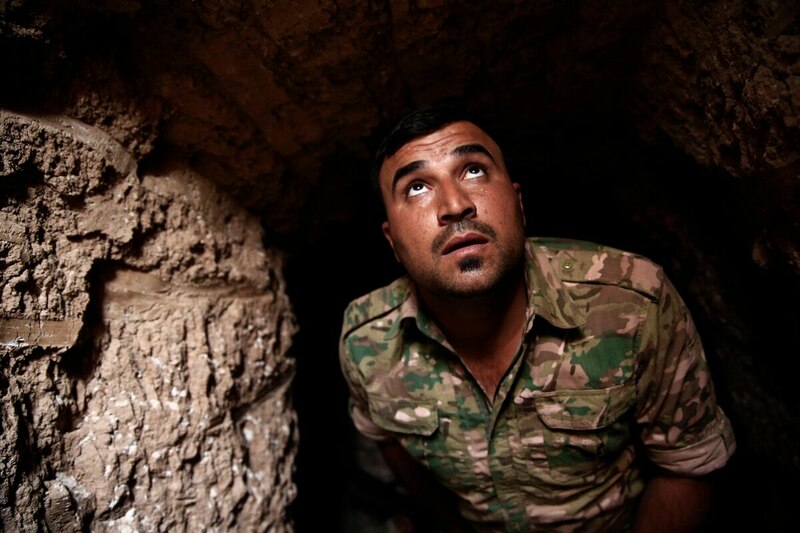 From border-defying tunnels on the Korean Peninsula to ISIS-operated underground escapes in Syria, a lack of situational awareness, poor air quality, uncertain terrain and obstructed communications are all hazards especially pertinent to the subterranean battlefield, leading defense officials clamoring for innovative technological solutions. 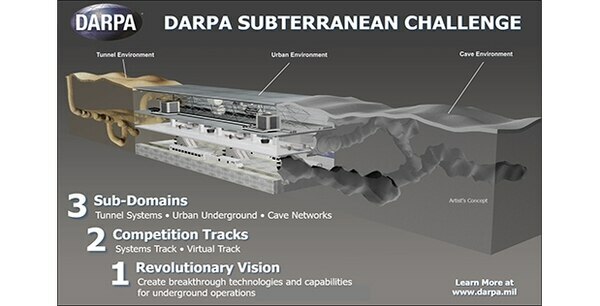 “The DARPA Subterranean Challenge aims to provide previously unimaginable situational awareness capabilities for operations underground,” said Timothy Chung, program manager in DARPA’s Tactical Technology Office. “We want to take these deep, dark, dangerous, dirty jobs — take the human out of that — and use autonomous systems and robotic systems to leverage their capabilities to help protect our war fighters,” added Bob Hastie, a senior technical adviser at the Defense Threat Reduction Agency. Like previous DARPA competitions, teams will compete in a series of challenges, or circuits, each testing a different aspect of operating robot’s underground. The circuits will begin in 2019 and will take place approximately every six months. The first challenge will place competitors' robots in human-made tunnels, such as those used by the Islamic State in Syria and Iraq. The second will focus on underground urban environments — think large networks of mass transit and metropolitan infrastructure tunnels. The third circuit will force robots to navigate and communicate with operators from within the unforgiving confines and tiny crevices of naturally occurring caves. Finally, the three opening circuits culminate in perhaps the ultimate underground challenge: a treacherous triple-threat course, featuring factors from all three underground environments. This final event is currently slated for 2021. A key factor teams will have to consider in the development process is autonomy. These perilous underground environments will require robots to be able to diagnose and rectify any number of underground dilemmas. Each time a human being has to manually intervene in the process, that robot’s score will suffer. On the line: a $2 million prize for the winner of the physical course challenge, and $750,000 for the winner of the virtual course. In total, DARPA has selected nine teams to compete, including participants from Carnegie Mellon, NASA’s Jet Propulsion Lab and iRobot Defense Holdings. “I want all you brilliant people out here to think about what happens when the person who’s in the underground doesn’t want me to go in, and what’s he going to do to make my life miserable,” said Hastie at an event to discuss the upcoming challenges. While these autonomous situational awareness enhancing robots could mean the difference between life and death for war fighters on the underground battlefield, some defense officials hope that the advantages presented by these robots will eventually be leveraged even further. “If our adversary is using undergrounds to protect a WMD, we want to be able to isolate it so it doesn’t become effective on the battlefield,” Hastie told reporters.